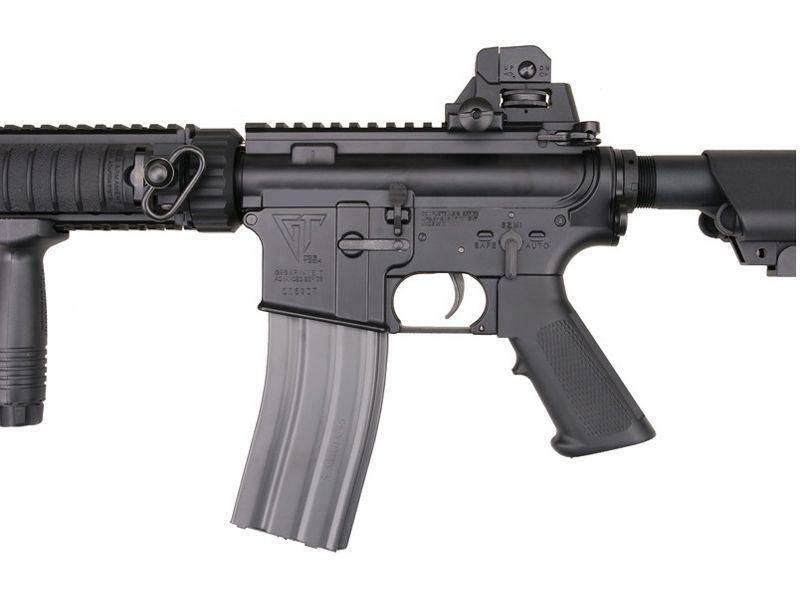 G&G TR4 CQB-S AEG Airsoft Rifle |ReplicaAirguns.ca | Easter Weekend Sale! 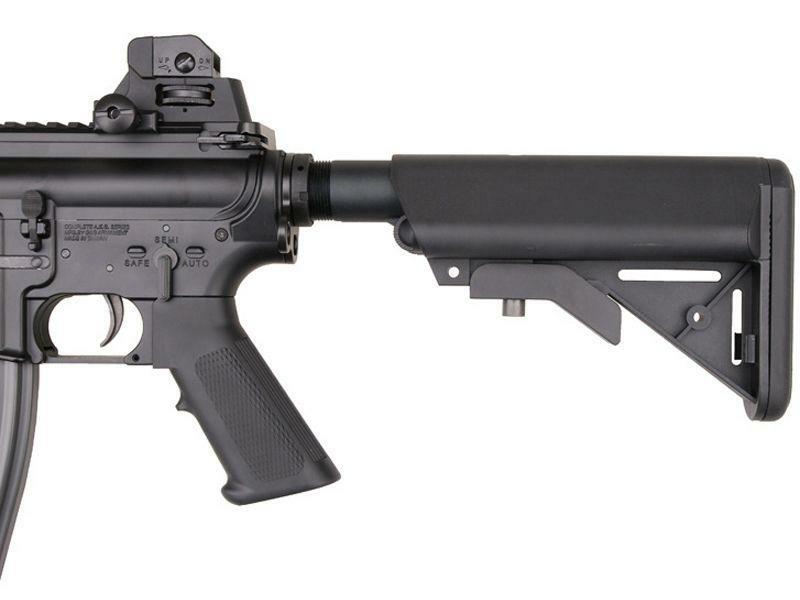 Comments: As part of G&G's Top Tech line, the TR4 CQB-S Airsoft Rifle comes packed with features to help it outshine the competition. 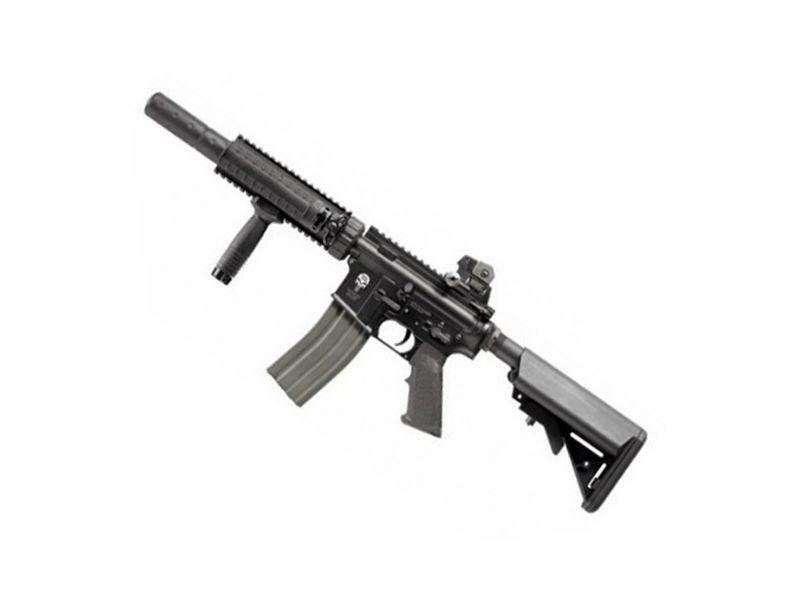 This full metal powerhouse is the perfect size for clearing rooms and other CQB scenarios. 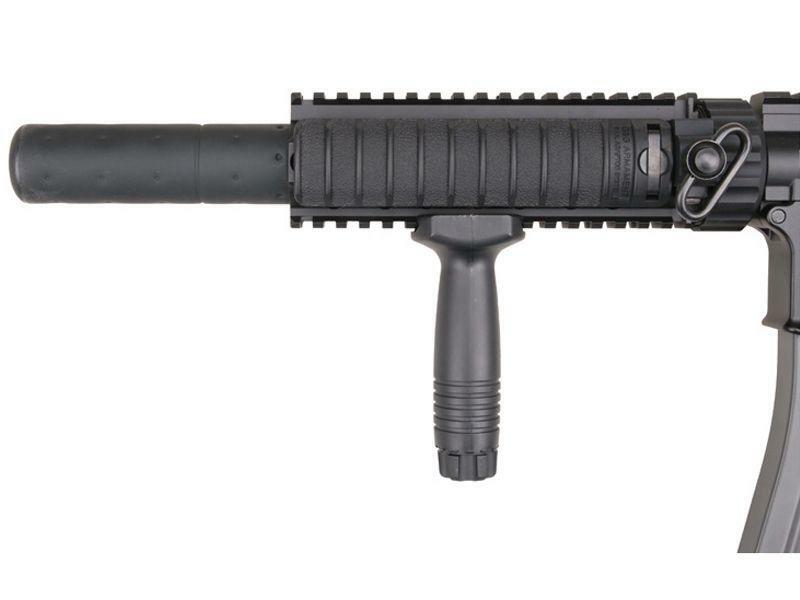 It comes with blowback action, a 16000 RPM high torque motor, a metal quad RIS handguard, functional bolt catch, and an adjustable 6-position battery crane stock. Little details like the spring compression release forward assist make this rifle stand out from the average AEG.